Plan_Hibiscus – ThermoBuilt Systems Inc.
* taxes, shipping, windows and doors are not included. Uninsulated garage included. 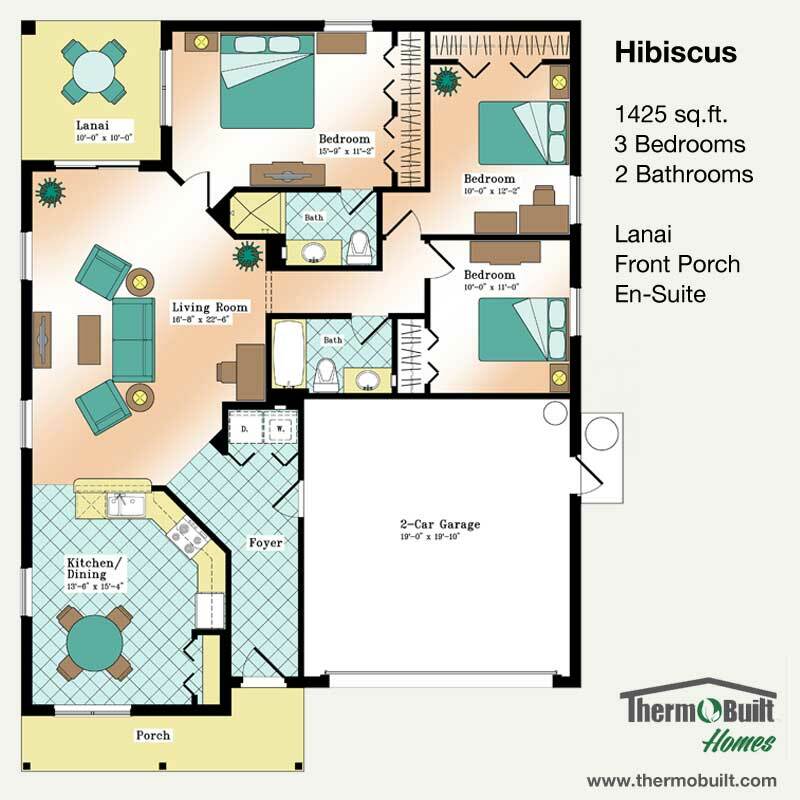 The Hibiscus plan is the largest of the original ThermoBuilt designs, with 1,425 square feet, three bedrooms and two full baths, and the additional 401 square feet in your included garage. A kitchen off of the entry is both large and functional and features a large pantry. Laundry is conveniently located in a closet.